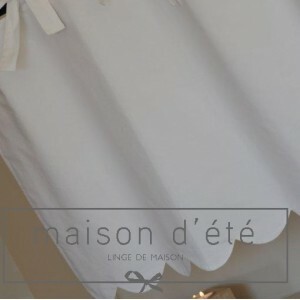 Maison d'été offers you window valances with all the elegance of yesteryear - and brought up to date with a contemporary touch, featuring natural linen festoons, knotted lace or Richelieu embroidery and linen or cotton flounces. 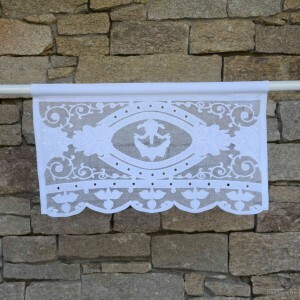 The valance can be used as a brise bise or on a linen curtain. Valances will give your interior that very special charm. 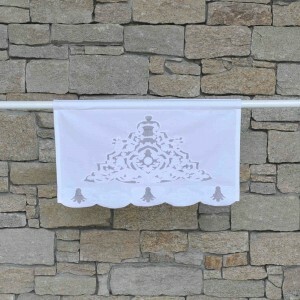 They come in several widths - 140, 45 or 60 cm - and match our festooned eiderdown quilts. 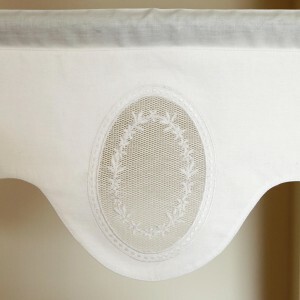 A great classic: a lined white cotton valance. You can coordinate it with our linen and linen gauze curtains. 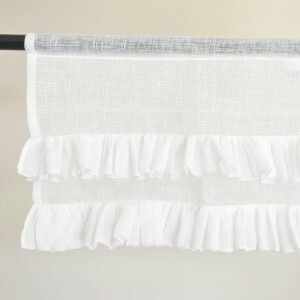 White linen gauze valance with white cotton net frills for a shabby chic atmosphere. 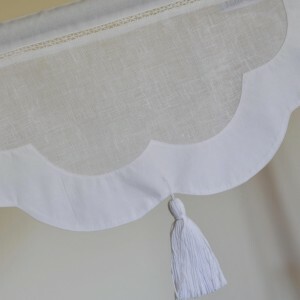 This white linen gauze Chambord valance has an attractive cut - it features white cotton, a charming little ajour pattern and a small white pom pom. The Gordes valance is very attractive, featuring cozy dimensions and round contours. It harmoniously combines elegance and modernity. 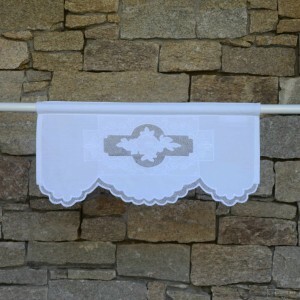 This valance with its charm of yesteryear is rivaled only by those of our grandmothers! It's adorned with fine embroidery in matching shades and a delicate net on the edges. 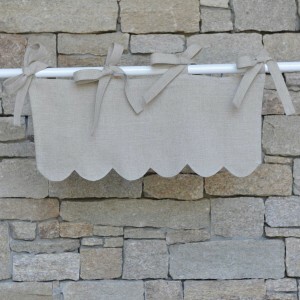 A very simple, charming valance! 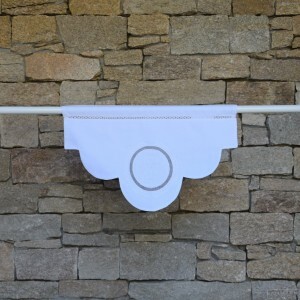 With its natural linen festoons and simple lines, it will gracefully adorn your windows.